Step 1: In a small dish, pour sugar. Rim glasses with lime wedge then dip in sugar. Step 2: Combine tequila, strawberries, moscato, triple sec, lime juice, and ice in a blender. Blend until smooth, then divide mixture between glasses, garnish with lime wedge and serve. 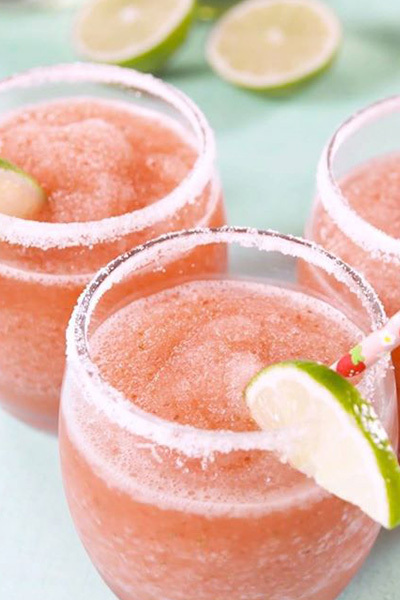 Enjoy these easy bubbly margaritas from Delish!